No, not a very troublesome hedge, but a whole garden full of troublesome hedges, that is the score! It sure is a challenge, and it is one that is going to be tackled during this coming winter – hopefully by me – one way or another the hedges are going to be tamed. The roughly 1000square meter garden is surrounded by old hedging, we planted it well over 25 years ago, the plants were not bought but were all grown from cuttings picked up when other gardeners discarded them, that was the way it was in those days, money was not spent on plants. 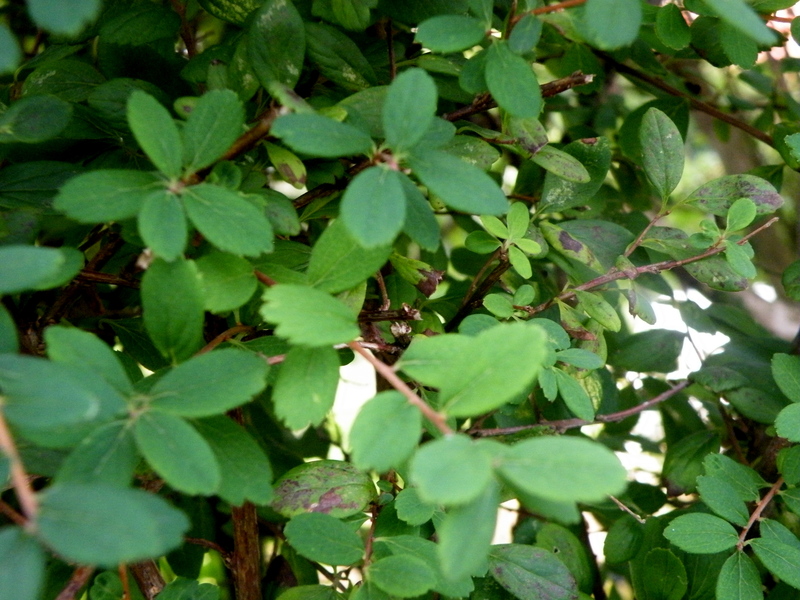 It is a mismatch of different shrubs. There is plenty of ligustrum, easy to grow, but grows fast, and now it is hard to keep up with it growing several feet a year. I love it though, as at times it gets flowers, these are the most delicately scented. Then there is the Grisilinia, a lovely soft wooded hedging, easy to cut or trim, some of it is variegated, some just green. Towards the back of the garden there is a huge tangle of what I think is Lonicera nitidia, very hard to keep it tidy, as well as that it has been overgrown with blackberry. There is still some fuchsia which had been stuck among the other hedging plants, lately one friend trimmed the hedges but left the fuchsia grow, it now towers over the rest of the greenery, pale pink flowers that will probably bloom well into November. On the other side of the garden there is one type of hedging that I do not know the name of, it does not grow too fast which is good, but it keeps coming up in the soil surrounding the hedge where I tirelessly pull it up. During the winter of 2010 we had severe frost here and some of the hedging died, so here and there the hedge is very thin, and there is a hole at one place, so some new planting needs to be done too. And that is the hedge situation at number fifty! It gives me pleasure to think of this project, to trim, and tidy and make the hedges look as beautiful as can be, but I am also thinking of the extra air and sun that will help my vegetables grow. And I must make sure that there is enough left so that the birds can still make their nest among foliage. Ligustrum hedge, badly cut and overgrown, and very high indeed. A hole in the hedge that needs new planting. A patch where during the very cold winter of 2010 some of the hedging died, and a close up of the unidentified hedge plant. Indeed it will on both counts 🙂 and I know that I will enjoy the challenge too. It sure is, I do like to plan and I do see the end results in my mind’s eye, so that helps. at times, this is the only thimg keeping one going, right? Oh gosh! I hope your eye is all right? Good to hear your eye is ok. Good! What a nice combination for you both, My partner is ten years older than me and he is not able for much work in the garden, but having said that he has a love for boats and he is doing one up which I think is brilliant! That sounds very scary – I wonder , if you don’t work on them whether they will swallow your property. Sounds like a lot of work; like a lawn. Cut and come again. A vertical lawn. Yikes. I hope that sorting your hedge out will provide you with more light for vegetables. Thank you Helen, I will keep track of it in my blog 🙂 I love the fuchsia flowers, they flower here between May and end of November some years. This is the first year I have had my fuchsia. They are still in bloom now and I hope they will last into November. I hope for you too Helen.